Pete Hanshaw: Scratch Pad Unity Utility. 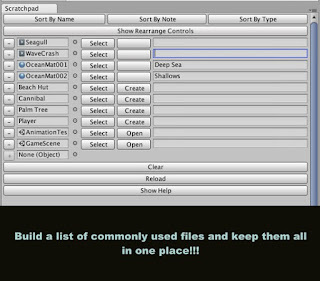 One of my friends has made his Unity Asset Store debut with "Scratch Pad"- a handy little utility that lets you bookmark scenes, animations, scripts etc. 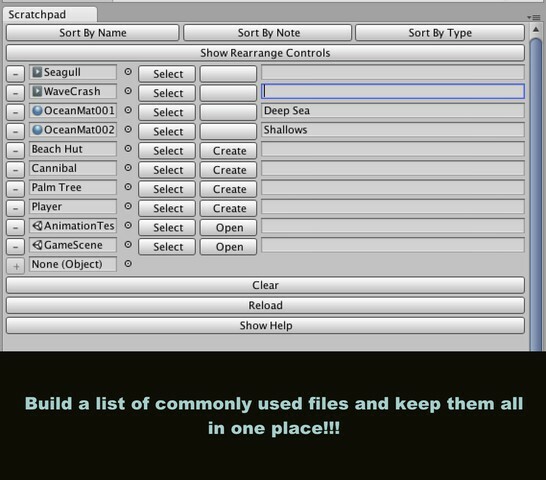 It always kinda bugged me that you can't put files into your favorites area of the Project panel, which is something this Utility does pretty well- being able to make 'working sets' of files is pretty useful, especially when debugging all the different components that might make up a single asset in game.